Sometimes an idea just comes together. Last weekend, we went to a corn maze with the kids and bought a dozen miniature white and orange pumpkins, which inspired this display on our mantel. 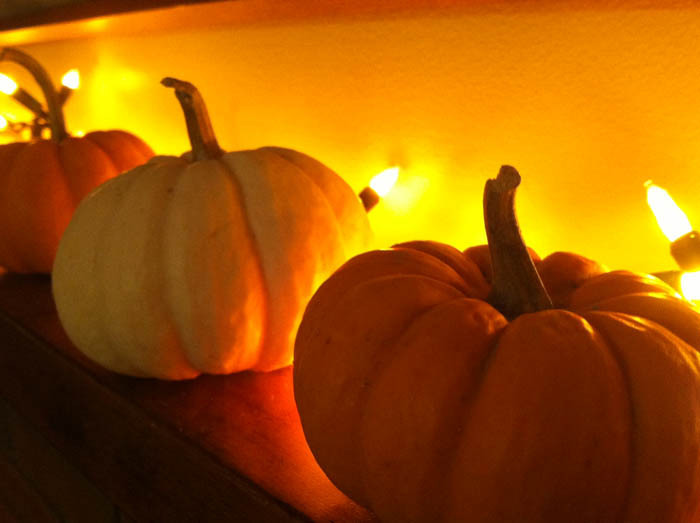 The Halloween lights (shaped like candy corn) give a real autumnal glow when reflected off the gourds. The Micro Dot Lights would work equally well in this display.